GOING DEEPER: SERMON BASED DISCUSSIONS START WEDNESDAY, FEBRUARY 21! BEGINNING WEDNESDAY, FEBRUARY 21 @ 7PM IN THE PARLOR! Have you ever left Sunday worship with questions? Feeling a need to know more? The purpose behind sermon-based small group discussion is to build community together while focusing on the previous Sunday’s sermon. But its more than just a rehash of the sermon; the goal is to take the main point from the sermon and dig deeper into scripture and it's application in our everyday lives. 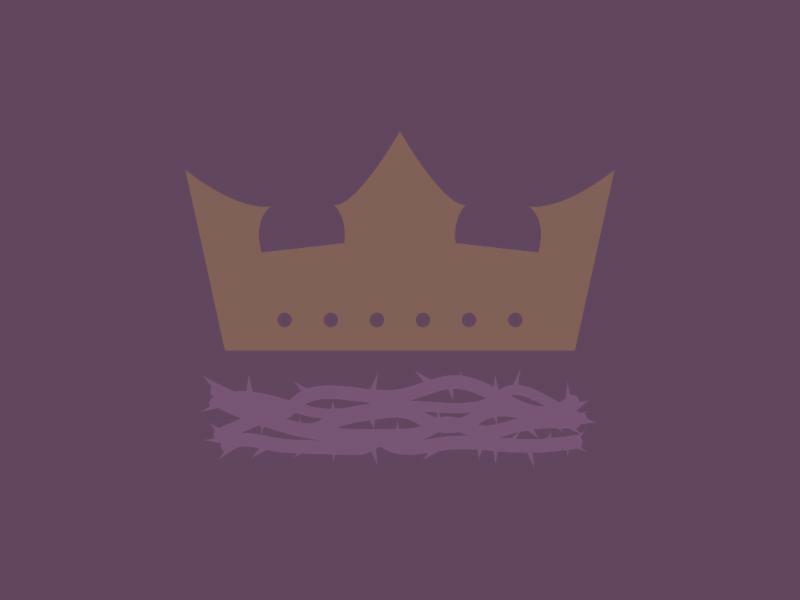 Throughout the season of Lent, you are invited to join the discussion every Wednesday at 7PM at the church. Discussion guides will be provided each week to help you discern what the message is saying to you. Missed the sermon on Sunday? Just take a few minutes to listen online before joining the group. Beginnings and endings are memorable moments in life. We remember our children’s first words and our parents last words. We celebrate first days at school and our accomplishments at graduation. We experience joy in a baby’s birth at Christmas and hope through his death and resurrection at Easter. This year during Lent we will focus on the final, memorable words of Christ, as experienced by those near the cross. Each week we will reflect on these seven statements and seek to understand their meaning for our lives today. Join us on a journey to the empty tomb as we explore Jesus’ Last Words. COFFEE WITH THE PASTOR STARTING NEXT SUNDAY, FEBRUARY 25! For Inquirers & those considering Membership to Wayne Church, Sundays, February 25, March 4 & 11 @ NOON in the Upper Room. There are few greater joys in the life of the church than receiving new members. Wayne Church will be adding to our church family in the coming months. Our new member class will gather after worship for three Sundays. This time together is designed to get to know the Pastor, explore personal faith, Methodism, and how we seek to express these beliefs here at Wayne. If you wish to explore the possibility of membership or wish to attend and learn more about the church, please email Pastor Tom. Childcare will be provided. The Upper Room is located on the 2nd floor of the Admin building. Signs will be posted. WOMEN'S EVENING BIBLE STUDY CONTINUES FEBRUARY 27! NEXT SENIOR LUNCHEON, MARCH 15 @ NOON! Thursday, March 15, 2018 @ Noon! | The Senior Luncheon team invites you to join us for a talk from Dave Videon about Elder law. Suggested donation of $10. You must RSVP to the church office by the Tuesday before the luncheon so that we may place our catering order accordingly! RSVP to Sue Walter by clicking the link below or calling (610)688-5650. RSVP for this month's luncheon! Click here for the full Senior Luncheon Series schedule! Starting at 6:45pm will be sharing some appetizers and having a discussion on our recent book: Animal, Vegetable, Mineral by Barbara Kingsolver. Our meeting will be at Julia Fisher’s home. Bring a snack to share if you can. *8-week study starting in mid-March! Tuesdays @ 7:00PM in the Parlor | Rev. Galen Black will be teaching a Bible study on the Book of Acts (the Acts of the Apostles) from mid-March through mid-May. Precise dates are TBA. It will be an 8-week study meeting Tuesday evenings from 7:00-8:45PM. ﻿*Ladies' Evening Bible Study (Kimm Ebersole's house) - Meets twice per month. Check our website for exact dates! OUR NEXT CHOSEN 300 MEAL IS SATURDAY, FEBRUARY 24! Every other month, Wayne Church provides a home-cooked meal for Chosen 300’s Pottstown location (150 N. Hanover Street). This ministry was launched with great success on Christmas Eve 2016, and we are looking forward to partnering with Chosen 300 in serving the homeless again this month! There are many ways you can support this project, from planning the worship service, to shopping for groceries, to cooking the food, to serving it on site on the night of Saturday, February 24. We will need all church volunteers for this meal! We have many opportunities for your involvement, so check out our many sign-up options by visiting the link below! SIGN UP (or view volunteer opportunities) HERE! QUESTIONS? Email Agnes & Kimm! THANK YOU FROM THE RUMMAGE TEAM!! The Wayne Church Rummage Team would like to say a huge THANK YOU to all those who donated to and shopped at our January Rummage Sale! We raised over $1250, set aside items for Chosen 300, Salvation Army, and other recipients, kept lots out of landfill, and created many happy customers!! Obviously, this is a joint effort that cannot happen without YOU, our donors and customers, so thank you again. PLEASE KEEP IT COMING! Our next sale is on April 6-7, so we will begin accepting donations after worship services on Easter Sunday, April 1. *INTERESTED? * WE HAVE A BRAND-NEW ONLINE SIGN-UP! Click the link below to view the volunteer schedule and/or to sign up! Saturday, March 10, 2018 @ 8:30AM-12:30PM at Camp Innabah. Registration is now open! Laity and clergy are encouraged to sign up for workshops designed to meet the needs of the church today—from "Making Disciples Rather Than Members" to “Reaching Your Community with Facebook.” Tools will also include specific training for your SPRC, Trustees, Lay Leaders, and Finance Teams. Standard registration: $12. The staff at Innabah will also be leading a team-building workshop for youth and their leaders, and we encourage youth to join us for the morning. Breakfast and snacks included!